White Water Landings, the memoir of Geoffrey Pett is on schedule for its publication on 11th May. The book provides a fascinating view of the start of the Imperial Airways flying boat service in Africa, where Geoffrey set up the landing stations in Lindi (then Tanganyika) and Juba (then Sudan). The romance of the Golden Age of Flying is segued into the drama of a romance kept apart by war, as Geoffrey was stationed in Cairo during World War 2 to keep the "Horseshoe Route" operational between South Africa and Australia. Geoffrey's unique account of life in 1930s rural Africa, of the commissioning of the second operational flying boat Centaurus, and the crash of the flying boat Corsair, makes compelling reading. For lovers of flying, family history, ethnography, colonial history, and Boys' Own adventures! 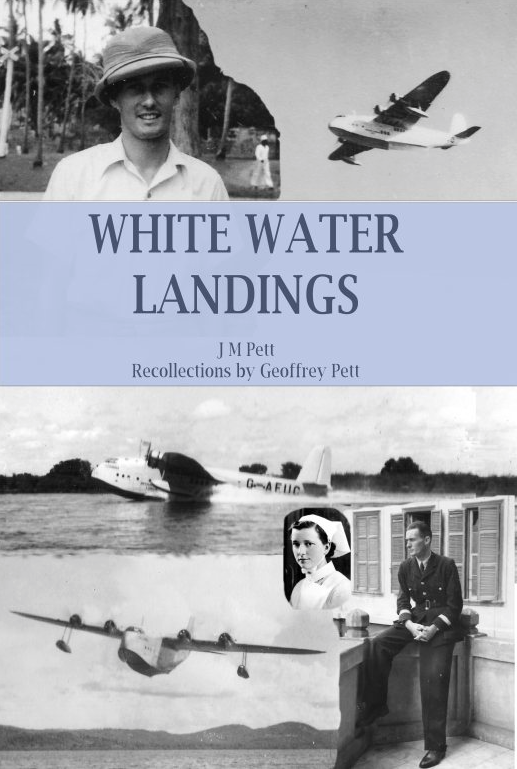 White Water Landings, author J M Pett with Geoffrey Pett, will be available in hardback, paperback and ebook formats.